The National Geographic Society began as a club for an elite group of academics and wealthy patrons interested in travel. On January 13, 1888, 33 explorers and scientists gathered at the Cosmos Club, a private club then located on Lafayette Square in Washington, D.C., to organize "a society for the increase and diffusion of geographical knowledge." After preparing a constitution and a plan of organization, the National Geographic Society was incorporated two weeks later on January 27. Gardiner Greene Hubbard became its first president and his son-in-law, Alexander Graham Bell, eventually succeeded him in 1897 following his death. In 1899 Bell's son-in-law Gilbert Hovey Grosvenor was named the first full-time editor of National Geographic Magazine and served the organization for fifty-five years (1954), and members of the Grosvenor family have played important roles in the organization since. 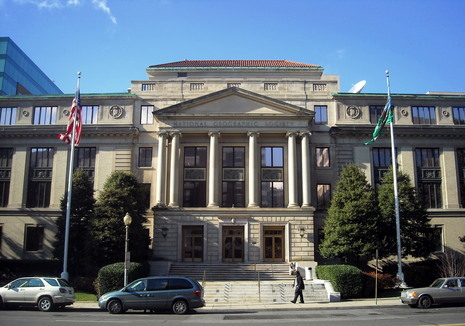 Founded as a club of distinguished gentlemen devoted to promoting the study of geography, the National Geographic Society is the largest educational society in the world and the publisher of one of the world's most widely circulated magazines, National Geographic, as well as National Geographic Traveler and National Geographic Adventure. The company is also involved in book publishing, education, public service projects, and television production, but its flagship magazine remains its crowning achievement. Thanks in large part to the efforts of three generations of the Grosvenor family, National Geographic has become a staple of American mass culture. The Society's trustees in recent years have included such notables as Supreme Court Chief Justice Warren Burger, Lady Bird Johnson, Air Force General Curtis LeMay, astronaut Frank Borman, and businessman J. Willard Marriott, Jr. Having embraced new media and new techniques in publishing, the Society has brought the far corners of the world to the doorsteps of millions of Americans. Frank Luther Mott, an eminent journalism historian, observed that National Geographic has compiled "a fabulous record of success, especially since the magazine is founded on an editorial conviction that rates the intelligence of the popular audience fairly high."